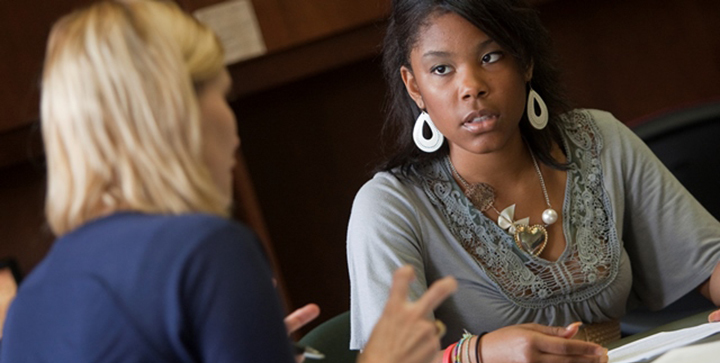 The Undergraduate Advising Center (UAC) provides year-round academic advising and support for Lamar freshmen and sophomores and all Pre-Nursing students. UAC advisors help students navigate the university environment and connect them to departments and faculty to ensure access to campus resources, as well as student success and retention. The goal in the UAC is to help students get the most from their experience at Lamar University. We help incoming students make the tough transition from high school to college, and we help continuing or transfer students get connected here. Besides ensuring that students get the right classes to graduate on time, we also help students utilize resources, get involved, and connect with faculty and departments. UAC advisors provide consistent, dependable support. We're excited about helping every student succeed. The Undergraduate Advising Center supports the mission of Lamar University by enhancing student development and success through exemplary service, collaboration, and support in academic advising. The UAC facilitates student success and engagement by advising, enrolling, tracking, and referring students to faculty, departments, support services, and activities. The UAC proactively assesses and responds to student needs.